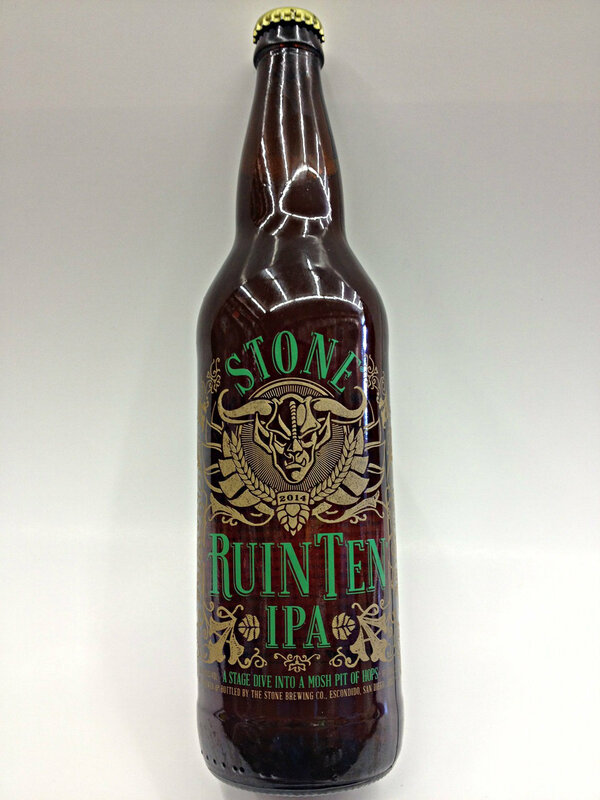 RuinTen IPA is a summer release from Stone Brewing Co. It’s an American Double/Imperial IPA and was first released in 2012 to commemorate the tenth anniversary of their popular Ruination IPA, but it’s now been rereleased and renamed as RuinTen IPA and here we are now. It pours a dark copper color with an offwhite head. It’s a hoppy beer. It smells hoppy and it tastes hoppy, mostly citrus hops but some pine hops as well. There’s a malty backbone but it’s overwhelmed and overpowered by the aggressive hops. Did I mention that it’s hoppy? Because it is. It has a nice boozy finish, which is in thanks to it’s hefty 10.8% ABV. It’s a nice beer to relax with at the end of a long day.